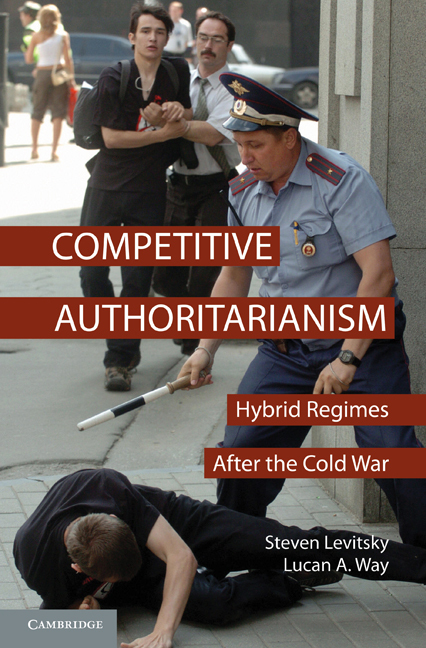 Lucan Way is the co-author of Competitive Authoritarianism (2010). He is an Assistant Professor of Political Science at the University of Toronto. His research interests include political regimes, fiscal and social reform, corruption, and post-communist politics. Professor Way is currently completing a book, Pluralism by Default: Sources of Political Competition in the Former Soviet Union, and has published articles in the Brown Journal of World Affairs, Communist and Post-Communist Studies, Comparative Politics, East European Politics and Societies, the Journal of Democracy, the Journal of Communist Studies and Transition Politics, Politics and Society, Post-Soviet Affairs, Studies in Comparative and International Development, and World Politics, as well as several book chapters. He is on the editorial board of the Journal of Democracy.